What does it mean to be a professional? What is professionalism? How do we help to develop professional formation in students and clinicians? How do we develop ethically-engaged clinicians? Is professionalism part of best practice, and why? For two days in July 2018, physical therapists dedicated to ethics, humanities, and education met at Emory University to wrestle with the above questions and many others. The free flow of ideas and opinions presented at the groundbreaking symposium, Humanities and Ethics Alliance (HEAL): Re-Imagining Humanism in Rehabilitation, resulted in a wealth of knowledge and insights, as the participants drew upon their own considerable experience in their fields of study—and their imaginations as well. No ideas were considered too trivial in the meeting’s atmosphere of trust and respect. The result was an assemblage of ideas and strategies to justify and advance the integration of ethics and humanities for professional development in healthcare education and clinical practice. Evolving out of this unique symposium, individual interviews of each attendee were conducted by JHR staff to gain insights into their professional journeys, lessons learned from their work and personal lives, and wisdom for future generations of clinicians. These reflections captured stories as models for professional formation that will become a new series for JHR: Profiles in Professionalism. The first interview in our new Profiles in Professionalism series, presented in this issue of JHR, is with Dolly Swisher, PT, PhD, M.Div., who applied her expertise and knowledge to help generate this creative project. Dr. Swisher discusses the role of “embodiment” in defining professionalism: “To be professional, you have to put your knowledge, values, and attitudes in action.” She reflects on the individuals who have been her role models and who helped shape her career, and defines what she feels to be the biggest current threat to professionalism. The HEAL symposium closed with a panel discussion, History of PT Ethics, in honor of Ruth Purtilo, PT, PhD, FAPTA. The panel, including Gail Jenson, PT, PhD, FAPTA; Nancy Kirsch, PT, DPT, PhD, FAPTA; Dolly Swisher, PT, PhD, M.Div. ; Carol Davis, PT, PhD; and Bruce Greenfield, PT, PhD, MA (Bioethics), conducted a rich discussion of the evolution of ethical study and teaching in physical therapy while providing the opportunity for engagement with the clinical and student community. This informative and inspiring conversation will be published in the Spring 2019 issue of JHR. Being the first journal dedicated to the humanities in rehabilitation, one of the innovative opportunities JHR offers other rehabilitation journals is a scholarly archive for supplemental articles that allow a deeper exploration of the human dimension of disability and healing. While authors may target primary data-driven manuscripts to traditional professional journals, JHR creates a dynamic platform for clinician reflections and research-participant experiences. Future articles may take the form of collaborative scholarship of investigators and research participants, or an introspective narrative from a clinician reflecting on the human experience of the therapeutic process. As an example of a potential collaboration with other journals, we are excited to share our first companion article to the Physical Therapy Journal (PTJ). The clinician reflection, “Pitfalls and Pearls of Persistent Pain” is a supplementary article for PTJ’s May 2018 Special Issue on Nonpharmacological Management of Pain. As the subject of chronic pain has become crucially important in today’s healthcare and rehabilitation environments, Zach Stearns, PT, DPT; Marissa Carvalho, PT, DPT; and Morven Ross, PT, DPT share valuable lessons learned in the process of working with individuals experiencing pain. The article shows how a humanistic approach—involving factors such as trust, shared decision-making, and empathy—can add a psychosocial dimension to the treatment of chronic pain, and work to achieve more lasting results. We are pleased to include in this issue the runner-up finalists to the first ACAPT Consortium for the Humanities, Ethics, and Professionalism (CHEP) and JHR student essay contest. Becky Mercuro and Mercedes Aguiree share their experiences of getting to know patients as individuals and of creating meaningful connections as part of excellence in clinical practice. We continue this collaboration with CHEP as a yearly invitation to offer a creative opportunity to ignite crucial reflection in PT students across the nation about ways in which approaching patient care in a holistic manner improves patient outcomes. Each spring we plan to publish the contest winners, and each fall announce the next contest with an essay prompt. Please see our essay page for more information regarding the 2018-2019 student essay contest. Educators, please encourage your students to write and submit reflections! Eye Spy for Physical Therapy Graduate Education: A Collaboration With the Gibbes Museum of Art. Cindy B. Dodds, PT, DPT and colleagues describe how their successful pilot program took physical therapy students out of the university setting and into a local art museum for a unique experience of observation using visual-thinking strategies. Use of a Patient-Educator to Train Doctor of Physical Therapy Students Regarding Sexuality and Disability. In this thought-provoking article, Cara Felter, PT, DPT, MPH describes a paired approach between a faculty member and an individual with a spinal cord injury to teach physical therapy students about sexuality and disability, and offer guidance for speaking with patients about this sensitive subject. Life Transformed Through Movement. A photograph, a memory of the sound of wind in the trees, of a chill in the air, invoke a personal reflection of a life focused on movement and care. Inspired by Gregg Fuhrman, PT, MPT’s black-and-white image, Kathryn Zalewski, PT, PhD, MPA’s delicate poem describes her life as a physical therapist, a mother, and a teacher—in whispers. Three Voices at the Table. In a fascinating, creative account, Tania Riske, MS/CCC-SLP, and CeCelia Zorn, PhD, RN let the voices of a patient, his wife, and his speech/language pathologist describe the challenges, small triumphs, and human connections involved in the treatment of primary progressive aphasia—a rare neurological disease that causes the total loss of speech. We are honored to welcome two accomplished leaders in physical therapy to our Editorial Board: Edee Field-Fote, PT, PhD, FAPTA and Carol Davis, PT, DPT, EdD, MS, FAPTA. 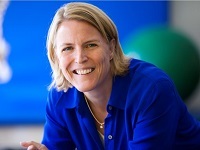 Dr. Field-Fote currently serves as Editor-in-Chief of the Journal of Neurologic Physical Therapy, and is on the NIH National Advisory Board on Medical Rehabilitation Research. Her landmark research in spinal cord injury has been funded by the NIH since 1997. She is the Director of Spinal Cord Injury at the Shepherd Center in Atlanta, with faculty appointments at Emory University School of Medicine and Georgia Institute of Technology School of Biological Sciences. Dr. Davis is Professor Emerita in the Department of Physical Therapy at the University of Miami Miller School of Medicine and author/editor of numerous manuscripts and books, including: Integrative Therapies in Rehabilitation; Evidence of Efficacy in Therapy, Prevention and Wellness; and Patient Practitioner Interaction/An Experiential Manual for Developing the Art of Patient Care. In addition to her doctorate in physical therapy from Massachusetts General Hospital Institute of Health Professions, she has a doctorate in Humanistic Studies from Boston University. With the Fall 2018 issue, we are also saying farewell to two integral members of the JHR editorial staff: Aimee Reiss, PT, DPT and Erin Hecht, PhD. Dr. Reiss served as our first managing editor and helped create the critical foundational work to launch JHR. Dr. Hecht was our talented web designer, who brought a sense of visual design unique to our publication, helping to give the journal our hallmark appearance. We are indebted to them both for their dedication and hard work for these past 4 years. We welcome our new managing editor, Paige Weber, a graduate of Cornell University who comes to us with a wide experience as a writer, editor, and rights executive, including serving as Dictionary Editor for HarperCollins Publishers and Foreign Rights Manager for Wayland Publishers. From Emory University’s Center for Digital Scholarship, we welcome the help and expertise of digital scholarship specialists Anandi Silva Knuppel and Kayla Shipp Kamibayashi, to help guide JHR forward with a new look that affords the publication a more sustainable web platform. Thank you for joining us. We hope you enjoy the Fall 2018 issue of JHR.